A condominium being developed in Vancouver is being launched in Singaporetoday. 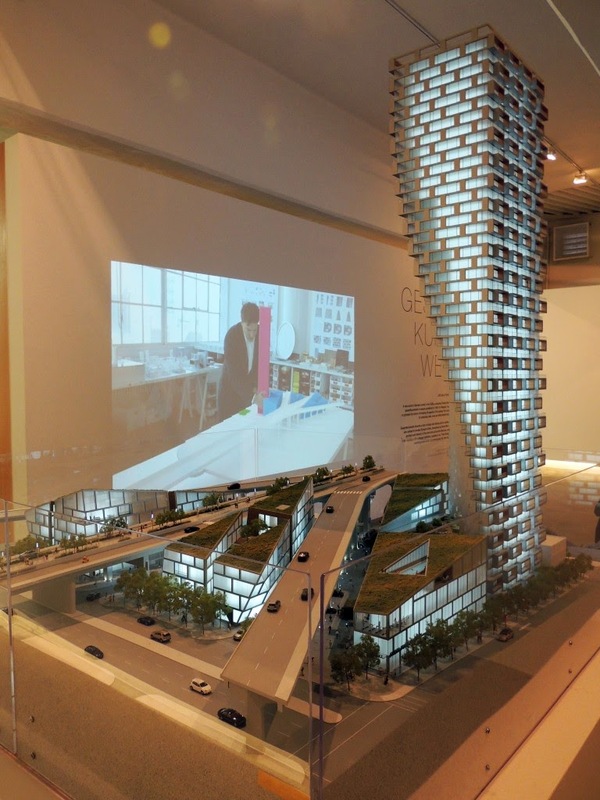 The 57-storey Vancouver House will be the third tallest building in the city when it is completed in 2018, said its Canadian developer Westbank. The top 10 storeys of 55 units are categorised as "estate floors" while the remaining 333 homes are part of the "architect series". Units range from studios of 431sqft to four-bedders of 3,928sqft. Prices start from about C$300,000 (S$347,000) to C$6 million, translating to an average price of C$800 to C$2,000psf. Westbank marketing director Michael Btaun said that 40% of the project has been reserved for foreign buyers while 30 units have been set aside for the Singapore market. "The nice thing about the Canadian market is that it doesn't have large swings like those in Hong Kong or the United States. "There is more demand than supply in the market, and it appreciates year after year," added Mr Braun. Rental yields are expected to fall between 5 and 6%, he noted. The tower, distinct for its twisting silhouette, was designed by Danish architect Bjarke Ingels, who was also behind the West 57th Streetdevelopment in New York. The freehold property is being marketed by Christie's Singapore, a unit of local firm SQFT Group, which specialises in marketing overseas properties. The wife and I wonder if the market poly of setting aside only 30 of the 155 units reserved for foreign buyers will generate the necessary hype for this project. And typical for developments being marketed out to Asian countries with primarily Chinese buyers, i.e. Singapore and more importantly Hong Kong, which is a primary market for new developments in Vancouver and Toronto, you may already have noticed that the total number of units in Vancouver House is 388! The indicative prices for this project is rather steep, probably because of the targeted buyers (Singaporeans, Hong Kongers and especially mainland Chinese are rich mah!). But buyers can supposedly borrow up to 65% to finance their purchases. The half page advert in ST today said that the mixed-waterfront project (retail, office, restaurants and residential) is located in Vancouver's downtown CBD. It is a 6-minute walk to Yaletown-Roundhouse station and a 2 minutes train ride to city centre. Amenities include concierge service, wellness centre and heated rooftop swimming pool. There is also a fleet of BMW vehicles available for residents' use. The Singapore road-show this weekend is supposedly a review ahead of the official launch in Vancouver on 20 September 2014. Developer is offering 2 years of free rental management (leasing and management fees absorbed). So for those who are interested and have some free time this weekend, the road-show is being held at Four Seasons Hotel (Temasek Room @Level 3). The wife and I have never ventured into Canada (yet) and this project looks rather interesting. So who knows, you might just see us at the exhibition! No Comment to " Condo in Vancouver, perhaps? " The wife and I are avid property watchers and self confessed "show-flat fanatics". SG Proptalk is our platform to share our thoughts and experiences on private residential property purchases and investments. We hope to provide you with our "off-the-cuff" take on new project launches and other property-related stuff, which you may find useful in your search for that ideal home or investment property. Please support SG PropTalk by clicking on our Ads! Now this is what we call a marketing campaign! Trouble on both (Completed & Uncompleted) fronts! Overdue mortgage payments on the rise! Singaporeans FIRST or Singaporeans ONLY..? Iskandar - Chinese developers' next pot of gold? We are on bloglovin' ! Are the Chinese mainly to blame for escalating Australian home prices? Now is not the time to cool private property market...really?! Follow SG PropTalk's board SG PropTalk on Pinterest.